The final chapter illustrates the key findings. 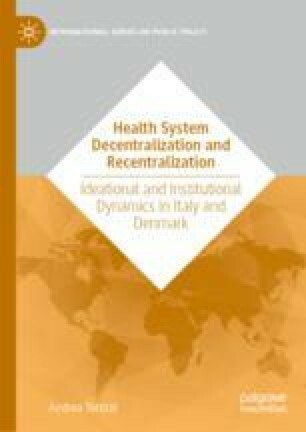 Firstly, it provides a summary of the changes that took place in the two cases under study, contrasting the change in the degrees of decentralization that occurred at different points in time in the Italian and Danish health systems. Secondly, it links theory and evidence, highlights the explanatory power of ideas, discourse, and institutions, and discusses the working hypotheses. Finally, possible policy implications and directions for future research are considered.